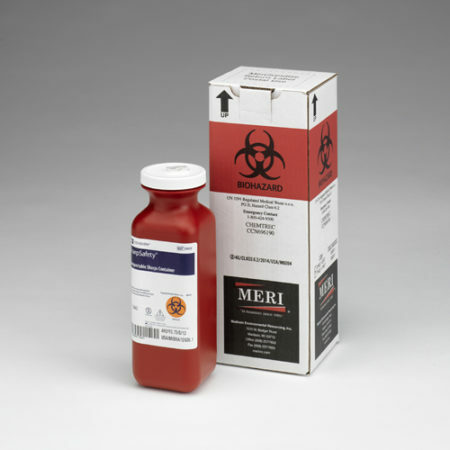 This Amalsed Silver Cartridge, offered by MERI and powered by medentex, is used in conjunction with our amalgam separator system. It’s also compatible with many existing amalgam separator systems including: SolmeteX Hg5, DentalEZ Amalgam HoG, DentalEZ Hg5 and the Apavia AVT-Max. Furthermore, it is easy to install and maintain. Because of its large capacity, it doesn’t require replacement as often as other options. Meaning, more time for patients and more savings for you! Furthermore, it is easy to replace and maintain. Our compliant amalgam recycling program helps dental practices meet the EPA’s new regulation for properly recycling amalgam waste. 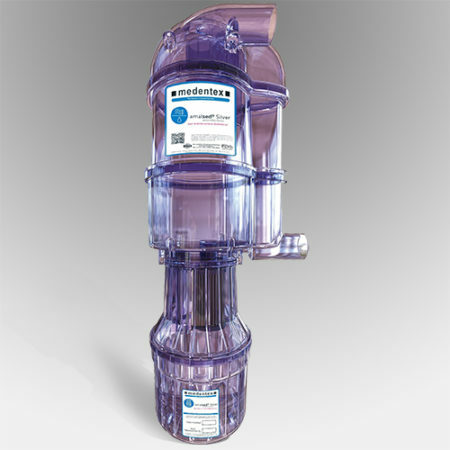 EPA regulations as of July 2017 require all dental offices, dental clinics and dental schools to install an amalgam separator, if they place or remove amalgam and discharge their wastewater into a public water system. Practices will have to comply with the rule by July 14, 2020. 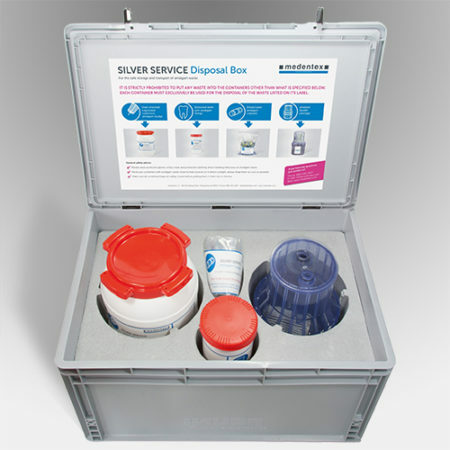 This recycling program includes a courtesy phone call reminder to replace your amalsed Silver cartridge. This hassle-free service saves you the trouble of marking the calendar or tracking your usage. 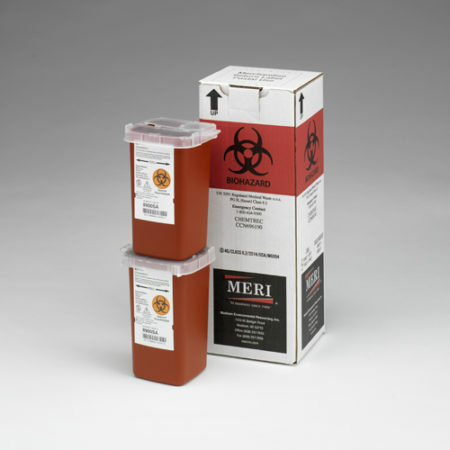 When it comes time to carry out your replacement, simply place your cartridge into its original box. 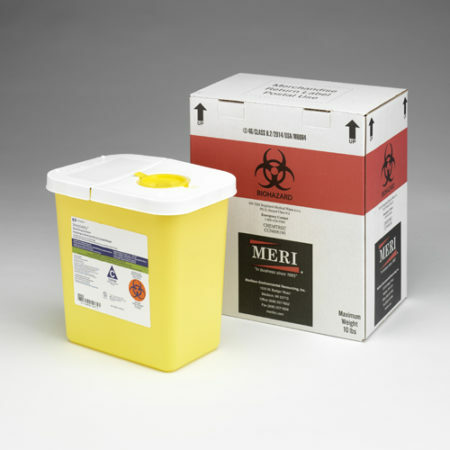 You can easily send it back to medentex’s licensed amalgam collection facility using the pre-paid UPS shipping label. In addition, medentex will provide certification demonstrating your compliance with the new EPA rule. For dental offices with one to five chairs, we recommend replacing the cartridge once per year. 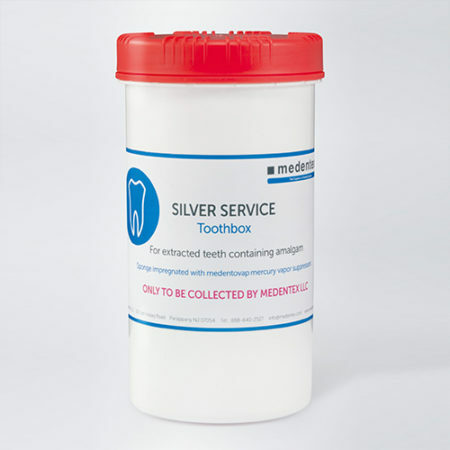 Dental offices with six to 12 chairs should replace their amalsed Silver cartridge and Silver Service Disposal Box twice per year, in six-month intervals. Dental practices with 13 or more chairs should call for an individual replacement cycle. 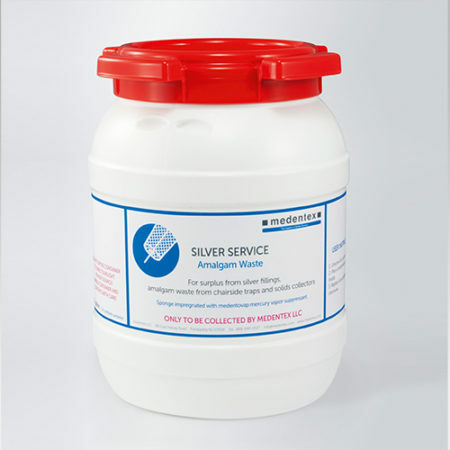 The amalsed Silver cartridge, offered by MERI and powered by medentex, is used in conjunction with the amalsed Silver amalgam separator. 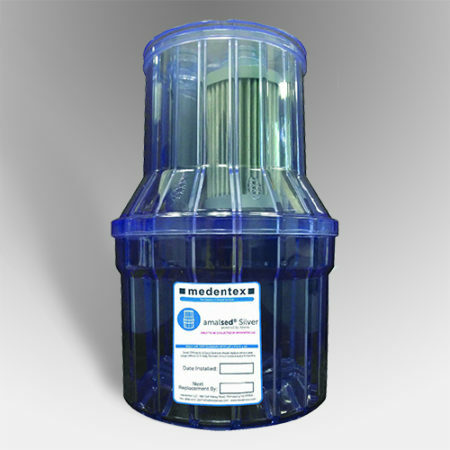 It is also compatible with many other amalgam separator systems. These include: SolmeteX Hg5, DentalEZ Amalgam HoG, DentalEZ Hg5 and the Apavia AVT-Max. 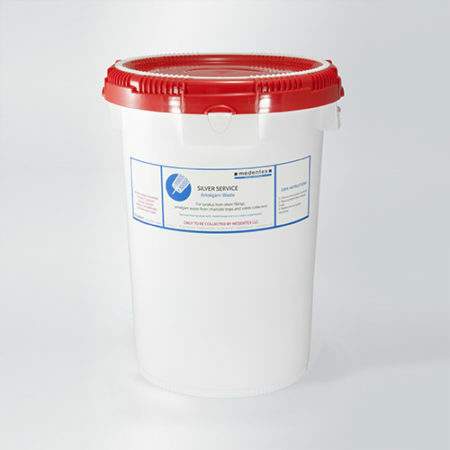 Because of its large capacity, it doesn’t require replacement as often as other options. Meaning, more time for patients and more savings for you! Furthermore, it is easy to replace and maintain.